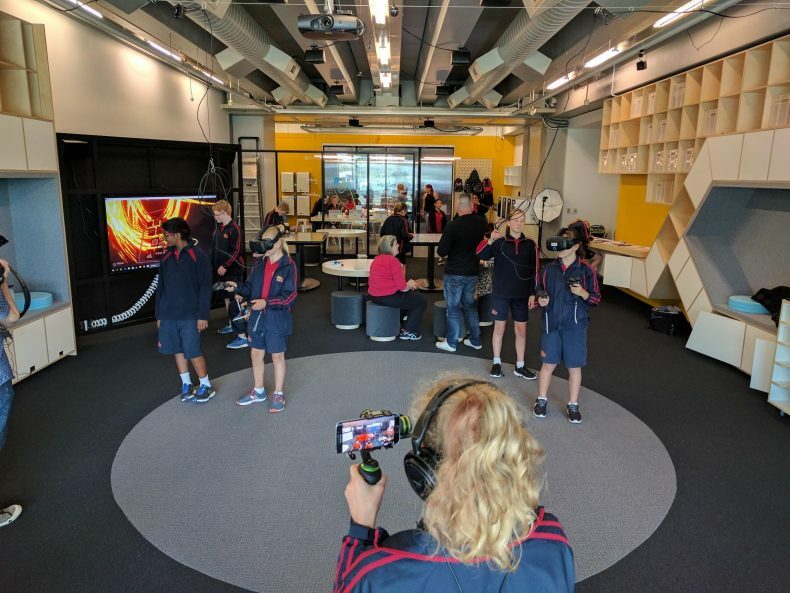 Educator Matt Richards talks about his experience creating a Learning Lab for Te Papa and seeing students engage with the space for the first time. Nine months ago I was employed by Te Papa to create a Learning Lab. 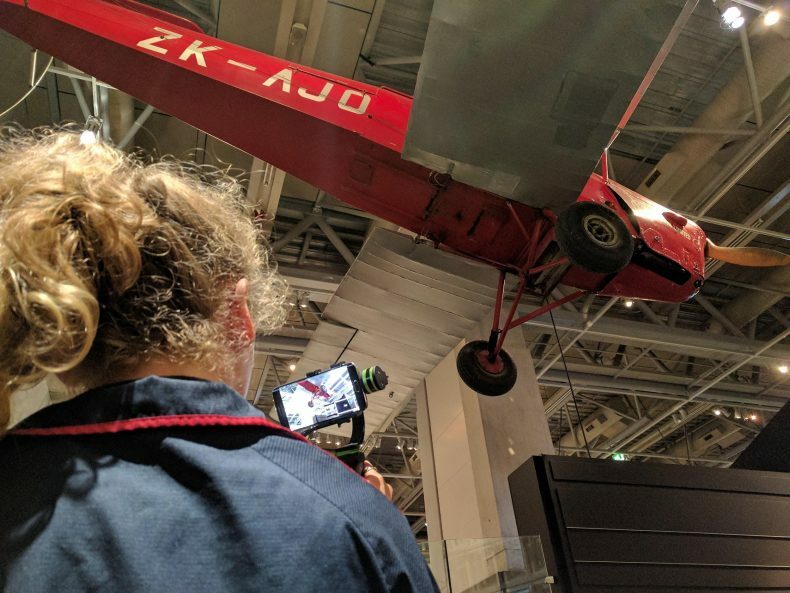 Te Papa wanted to remake its classroom space into an innovative high tech learning environment and provide experiential cross-discipline education programmes for schools and the public. I had experience creating makerspaces and innovative learning spaces previously in schools and companies but this was my first time working for a museum. Hands down this has been the best job of my life. Te Papa’s awesome staff, innovative vision and mission to ‘change hearts, mind and lives’ make it a unique and inspiring place to work. It’s been an amazing and slightly magical journey creating Hīnātore | Learning Lab. We have just finished construction and last week we had our first group of learners (beta testers) from Newlands Intermediate School come in for a demo session. Students from Wooranna Park Primary School in Melbourne also beamed in to collaborate via Google Hangout (telepresence). The session was a huge success. Everyone had a blast and it was heart-warming to see the space come alive with excited learners. We designed Hīnātore for learners. We wanted to create a learning commons where everyone who enters the space has a sense of ownership and fun. All the furniture and technology is multipurpose and flexible. ‘Swiss Army’ tables swing out from wall units, movable wall panels transform to create media studios and cushioned comfy nooks are built into the cupboards. Everything in Hīnātore is made to be moved and used by its occupants. 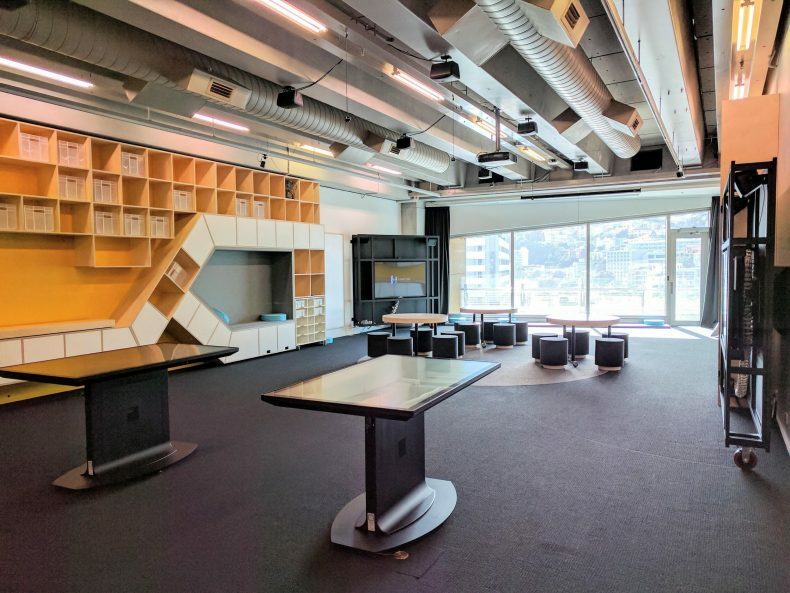 The space transforms to support the needs of learners. The Swiss Army tables were a hit with the kids in Melbourne. They kept asking Ronelle (Newlands Intermediate student giving them a virtual tour) to demonstrate their functionality. We have developed the first release of learning programmes for 2017. Hīnātore learning sessions are cross-disciplinary, support learners’ development across the 21st Century core competencies (creativity, communication, collaboration, and critical thinking) and deepen engagement with Te Papa’s collections and exhibitions. In our Pacific Explorers programme, learners experience our Tangata o le Moana exhibition, design a Cook Islands-style vaka digitally in 3D and print their personal creations using 3D printers. They learn pacific navigation techniques with star-charts in virtual reality (VR) and create their own inter island navigational stick charts. We are also running workshops for the general public. After school on Tuesdays, kids can learn to code and develop games at Play Inc. sessions. 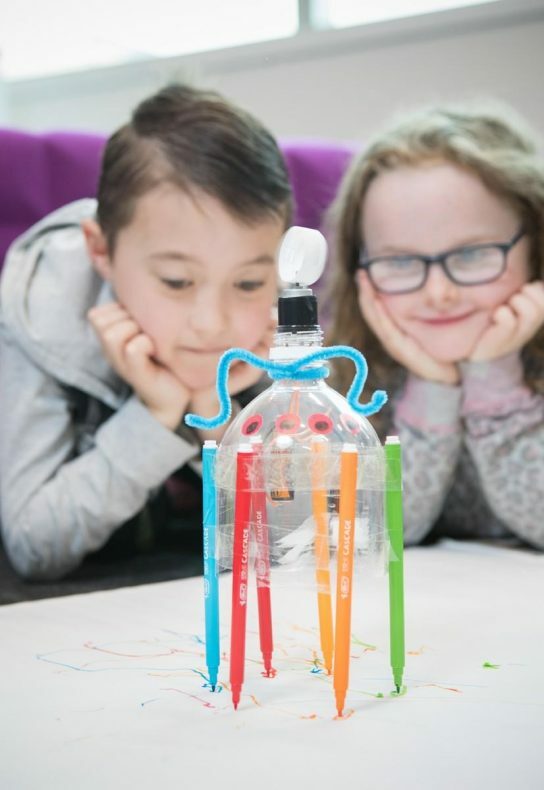 Families can play and create together in the Build a BugBot session and adults can tap into their creativity in Creative Jam workshops. Public workshops will be available to book January 2017. Creating a learning lab at Te Papa has been an amazing experience I’ll never forget. A huge thanks to my team and everyone who helped make Hīnātore a reality.